REPLAY WEBINAR: Federal Healthcare Fraud Laws Take Center Stage – Are Lab Sales & Marketing Practices At Risk Now? With this special report, you can tap into 150+ pages of proprietary market research that reveals critical data and information about key business trends affecting the U.S. clinical laboratory market. The U.S. laboratory testing market has been fundamentally altered by Medicare’s new market-based payment system, which will directly impact virtually every payer category with profound consequences for all laboratories. The pace of consolidation will accelerate, new investment will be centered on proprietary molecular diagnostics, and successful managed care contracting will be paramount to the survival of most laboratories. Big change accentuates the need for informed decision-making. Choosing the best path to the future depends on two critical factors: quality of information and insightful analysis. The U.S. Clinical Laboratory Industry: Forecast & Trends 2018-2020 can help you make educated decisions. You’ll get an insider’s market expertise combined with the objectivity of an outsider for the best possible insight into the laboratory market’s competitive dynamics. 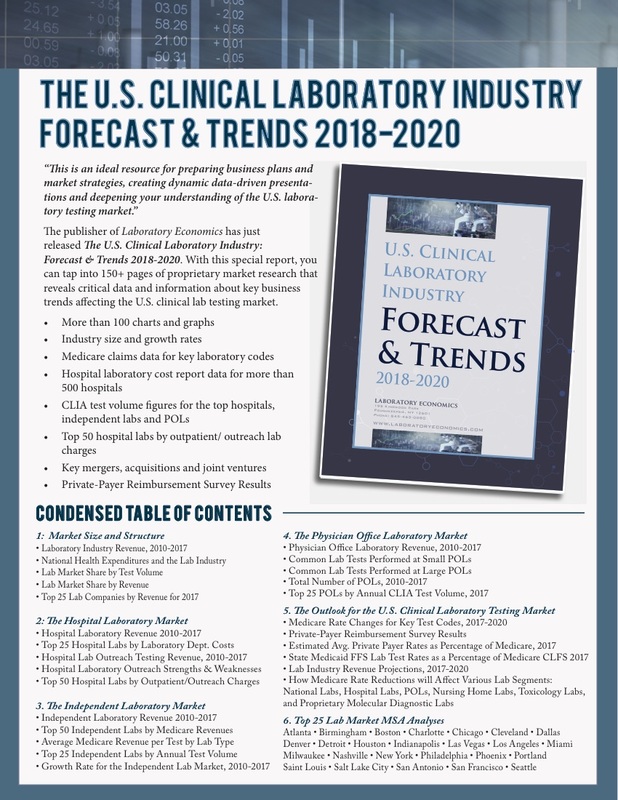 The U.S. Clinical Laboratory Industry: Forecast & Trends 2018-2020 includes data gathered the old-fashioned way—through primary research. The estimates and market analysis in this report have been built from the ground up, not by regurgitating stale numbers from old reports. Proprietary surveys and extensive interviews with commercial lab executives, hospital lab directors, and respected consultants form the basis of this report. And no stone has been left unturned in our examination of the CLIA database, Medicare test volume and expenditure data, hospital cost reports, Securities & Exchange Commission filings and company annual reports. Jondavid Klipp is president and publisher of Laboratory Economics LLC, an independent market research firm focused on the business of laboratory medicine. Prior to founding Laboratory Economics in April 2006, Mr. Klipp was managing editor at Washington G-2 Reports. During his seven-year employment with G-2, he was editor of Laboratory Industry Report and Diagnostic Testing & Technology Report. Mr. Klipp also authored several landmark research reports, including G-2’s Lab Industry Strategic Outlook 2005, U.S. Laboratory Reference Testing: Profile and Pricing Trends and The Laboratory Market Leaders Report. 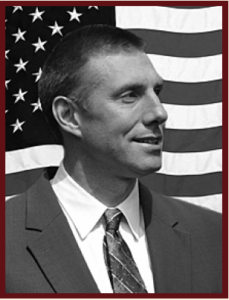 Prior to joining G-2, Mr. Klipp was an HMO analyst at Corporate Research Group in New Rochelle, New York, and a senior writer in the equity research department at Dean Witter in New York City. Every purchaser of the The U.S. Clinical Laboratory Industry: Forecast & Trends 2018-2020 report will get unrivaled client support. You’ll get post-sale question and answer support by phone or online. Our goal is to develop long-term relationships that meet the ongoing needs of our clients. And if you’re not 100% satisfied we’ll promptly send you a full refund no questions asked.